What do you when some bro is way bigger than you, stronger than you, has more friends than you, and wants to start telling you what to do? You could fight, but you’d lose. You could run, except you still have to go to school everyday and your mom and dad just won’t listen. Or you could get smart and start finding ways to chip away at this bro’s power, waiting for the perfect day where he fucks up and you’ve won over enough friends to win in a confrontation. And when that day comes, you will make him pay. Oh, will you make him pay. But before you can slaver over revenge, you’ve got to keep yourself alive. As you struggle to win the influence wars of the playground without provoking a fight you’re destined to be destroyed in, you come to realize it’s not so important to get every kid to switch sides. Sometimes, it’s good enough to just keep someone on the sidelines. And that is the foundation of a denial strategy. Ha ha! A good joke! But also an essential truth. A denial strategy doesn’t hinge itself on believing dumb things, but is rather a hyper-realistic way to keep you and yours from being wiped off the map. Russian defense strategy currently revolves around the idea of trying to deny power to the United States as much as possible. Power is broken simply into five areas: land, population, resources, military, and economics. In all five, Russia is outclassed by the United States. Russia may have more land, and potentially more resources, but lacks the population or economic system to harness them to the same scale as the U.S. This in turn has led to a weaker conventional Russian military that knows it cannot win a regular, non-nuclear war with the United States. In a total war scenario, where both sides drive straight for the throat (short of nuking each other), the U.S. would eventually win so long as outsiders didn’t interfere. And what better way to deter a war than having weapons that could end humanity? The first element of Russian strategy has relied on its nuclear arsenal. If you can’t have the ball, pop it if anyone else tries to take it. Great powers can no longer settle their differences on the battlefield as they did prior to 1945. (For most of us, that’s a really good thing). But that’s not to say competition has died out entirely. Both the U.S. and Russia are still playing for keeps, but must now avoid a misstep that leads to a nuclear war. They’re both well-rehearsed in this; that we’re not even remotely worried about nukes these days is proof of how well they’ve managed. We all more or less want to avoid this. So with all-out nuclear war no longer worth writing songs about, how do states decide the top dog? These days, it’s all about influence, alliances, trade, and supra-national organizations like the EU, NATO, and Putin’s Eurasian Union. Only two states remain outside of the U.S.-led international system that are powerful enough to potentially provide an alternative: China and Russia. Both have elites that seek as much independence for themselves as possible. Both do not want to allow the U.S. to start calling key shots for them, as other, former great powers like Britain, France, and Germany now do. But Russia is a different position than China. China may well end up being an equal of the United States in the next century (if all goes well within their borders, which should not be taken for granted). Russia is stagnant on its best days. To preserve what remains of Russian power, Russian elites must find ways to bring in countries to their fold. But they currently lack much that might attract countries to it; Russia’s Eurasian Union will be no EU, and certainly no NATO. So if they can’t have it, Russia’s elites, and Putin especially, find it easier to simply deny the U.S. entire countries. That eastward creep keeps old men up all night in the Kremlin. Georgia is a fine example of this strategy at work. Georgia was a country that was rapidly rushing to embrace both NATO and the EU until the Russian invasion in 2008 stopped such progress. In 2004, the Baltic republics, all three of which are on Russian borders, joined NATO, making them not only bases for American troops and missiles but also now invulnerable to attack. (Remember, with nukes, war between the U.S. and Russia is never an option). Their example set both Ukraine and Georgia down the road to the same end. Any nation part of NATO empowers America and weakens Russia. In the 1990s, Russia, intentionally or not, froze several conflicts throughout the former Soviet Union, and have kept them cold with the ability to use them at will. In 2008, that’s pretty much what they did as they heated up South Ossetia, a breakaway region inside Georgia. The Georgians responded badly and provoked a full-scale Russian invasion. But to conquer a whole country has still been taboo since 1945. Rather than outright conquest (and an expensive, politically painful, and diplomatically nightmarish occupation), Russia opted to merely deny Georgia to both NATO and the EU. Joining either right now is out of the question with Russian troops still inside Georgia’s pre-2008 borders. After all, if Georgia did join NATO, wouldn’t a Georgian government use that alliance as a way to get rid of those Russian troops? And would Russia go quietly just because they were asked? Russia is acting in a way now that indicates it will try to break Ukraine up as much as possible. Absorbing the eastern territories makes less sense when looked at like this; much better to let them simmer and stir them up if the Americans get too close to Kiev. 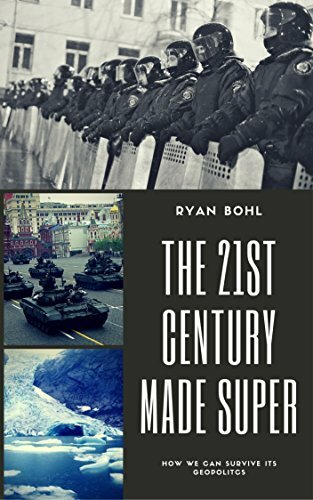 Conquering Ukraine is super dangerous and leads to nuclear confrontation, plus an expensive and likely unsuccessful occupation. Instead, if Russia can’t have the ball that is Ukraine, it will deflate it as much as possible so that no one else can play with it. This path is much safer, more likely to succeed, and does the next best thing to getting a new pro-Russia party back in power in Ukraine. It’s proof of Russia’s weakened hand; they can’t bribe their way to power in Ukraine as Putin does with much of the Russian population. It’s usage in Georgia has paralyzed Tblisi and ensured no U.S. bases have popped up there. If Putin plays Ukraine as well as he did Georgia, he may yet get away with it. Reblogged this on The next world wide war has already begun…!.